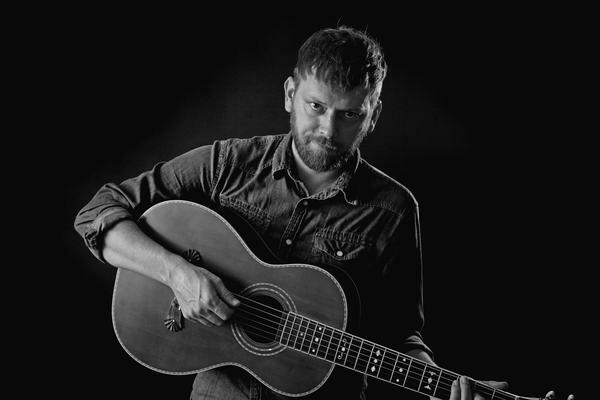 There’s something inexplicably authentic about Oklahoma’s Travis Linville that has carried him from dive bars and classrooms to The Tonight Show and esteemed theaters and festivals across the globe. Linville is legendary regionally for his work in the now-defunct Burtschi Brothers and for his behind-the-scenes influence—including producing John Fullbright’s first album and teaching guitar lessons to a then nine-year-old Parker Millsap. The Oklahoma Gazette rightly called him a “godfather of modern Oklahoma folk” and noted that his success opened doors for a state teeming with talent: a mentor and contemporary for other Oklahoma acts like Fullbright, Millsap, Turnpike Troubadours and John Moreland. His solo releases include 2012’s Sun or Moon and 2014’s soulful Out on the Wire EP. A live audition of a track from the latter earned him a role in a William H. Macy film, in which he performed the song. A gifted instrumentalist, Linville is also known for his work as a sideman with Texas songwriter Hayes Carll, who calls him “criminally underrated.” He has performed with Willie Nelson, Tommy Allsup, and Ryan Bingham and shared billing with Merle Haggard, Other Lives and Billy Joe Shaver, among others. With an ever-evolving repertoire deeply rooted in songcraft, sly humor and subtlety, Linville writes, plays and sings music “the way it’s supposed to be done,” Carll says. “One of my all-time favorite musicians.” Special thanks to BOK Center for sponsoring the day’s events, part of the MOTHER ROAD REVIVAL weekend.